Banking tycoon and former diplomat Alfonso Yuchengco passed away on Saturday, April 15, the Rizal Commercial Banking Corporation (RCBC) disclosed to the stock exchange on Monday. He was 94. The founding chairman of the RCBC led and established multiple firms across different industries from banking to telecoms. According to Forbes magazine, Yuchengo had a net worth of $400 million, making him the 32nd richest Filipino as of August 2016. Yuchengco was born in 1923 to Enrique Yuchengco and Maria Hao Tay who established a thriving construction business in Binondo in Manila, and later founded the China Insurance and Surety Company in the 1930s. The company flourished and became the country’s leading non-life insurance company until the outbreak of World War II in the Pacific. After the war, the company rebranded itself as Malayan Insurance Company, Inc., which is the Philippines’ biggest non-life insurance company by gross premiums written and the second biggest in terms of assets today. 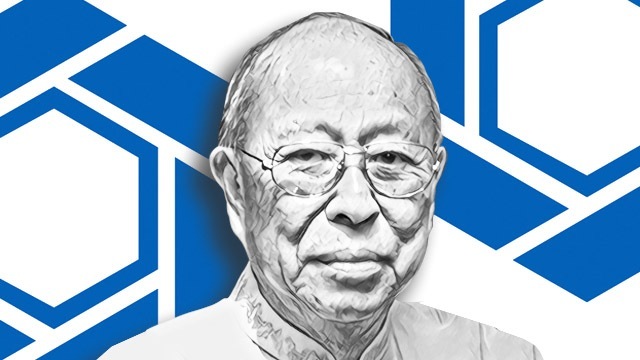 After completing his studies—he got an accounting degree from the Far Eastern University in 1946 and an MBA from Columbia University in New York in 1950—Yuchengco strived not just to grow the insurance business his father founded but also to extend it into other segments of the financial services industry and beyond. In 1954, the certified public accountant founded Grepalife, which quickly became one of the country’s leading locally owned life insurance firm. (Six years ago, Grepalife was acquired by Canadian insurance company Sunlife Financial. It was renamed Sun Life Grepa Financial and is now the country’s eighth biggest life insurer by assets.) He also established the Bankers and Manufacturers Assurance Corporation (BMAC), laying the foundation for what would later be called the Malayan Group of Insurance Companies (MGIC). Going beyond the insurance industry, Yuchengco founded a development bank in 1960 that would eventually grow into the Rizal Commercial Banking Corp., the country’s eighth biggest bank by assets in 2016. He also invested in other industries and became a chairman of Philippine Long Distance Telephone Co., the country’s biggest telecommunications company, and DOLE Philippines, one of the world’s largest pineapple growers. Not all the businesses he founded turned out to be successful. The Yuchengco group’s pre-need company, Pacific Plans, collapsed in 2004 after it failed to earn enough from its investments to meet its contractual obligations to customers who bought the plans to meet their children’s future school tuition fees. That gave rise to a string of court cases against Pacific officers and shareholders, including Yuchengco, that are still ongoing until now. Even RCBC, the Yuchengco group’s flagship company, has not been spared from serious challenges. In August 2016, the Bangko Sentral ng Pilipinas (BSP) fined the bank an unprecedented Php1 billion for operational lapses that allowed conspirators working with hackers who stole $81 million from the Bangladesh Central Bank to withdraw the money from an RCBC branch in Makati. Unlike most wealthy Chinese-Filipino tycoons, Yuchengco did not shy away from supporting, albeit secretly, some opposition groups against the former Ferdinand Marcos’ authoritarian regime in the late 1970s. That was long before former Senator Benigno “Ninoy” Aquino Jr.’s assassination in 1983 that turned many in the business community against the late dictator. In his later years, when he retired from active management of his businesses, Yuchengco became involved in diplomacy as various leaders tapped him to promote economic relations between the Philippines and other countries. Former President Corazon Aquino appointed Yuchengco as ambassador to China from 1986 to 1988. He was also the country’s ambassador to Japan under the Ramos administration. At 89, Alfonso also served as the country’s representative to the United Nations. His stint at the international body, though short-lived, gave the Philippines its first chance to occupy a seat at the UN Security Council. He later became the presidential adviser for foreign affairs under the Arroyo administration.